Simply Vegan magazine is aimed at making veganism easy for your everyday vegan. Covering food and lifestyle, it will be packed with easy, accessible recipes that don’t require odd ingredients or take too long to prepare, as well as supermarket taste tests, reviews of high street restaurants and cafes, plus beauty reviews, high street fashion, and nutrition basics. 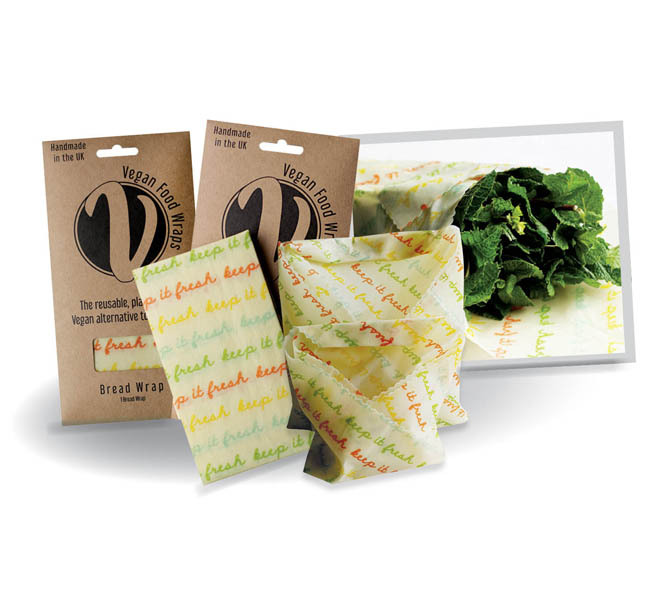 It’s everything your new vegan needs to get through life with ease. All the wraps are handmade in the Cotswolds using a simple process to make sure they are all perfect. Code SVWWAX19. Offer ends 31 May 2019. *The gift is available with UK Direct Debit orders only. The gift is subject to availability and if stocks become exhausted we reserve the right to replace the gift with a product of similar value. Please allow up to 28 days for delivery of the gift. The gift will arrive separately from the magazine. The saving is calculated from the cover price of £3.50. There are 12 issues in a year. There are discounts available to overseas customers too (no gift). For the full range of prices and to order a discounted subscription from overseas, please visit our website at anthem-publishing.com/simplyvegan and enter code SVWWAX19. Subscriptions will start from the next available issue. Step into Spring with our fresh spring sale! 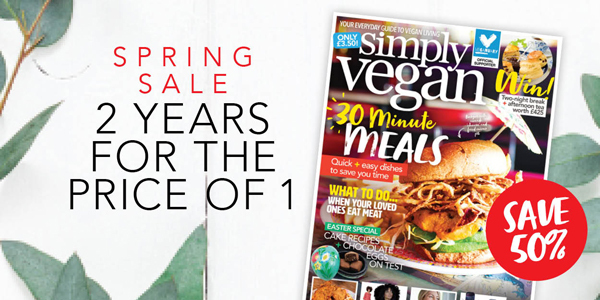 Take advantage of this offer and you will get 2 years’ worth of Simply Vegan magazine for the price of 1 year – that’s a huge saving of 50% off the shop price. This offer is available in the UK, Europe, USA and Australia. Get the Simply Vegan app! We also have a fantastic app where you can download the latest issue of Simply Vegan or subscribe to the digital edition. Go to your App store and search for Simply Vegan or go to Pocketmags to order now!